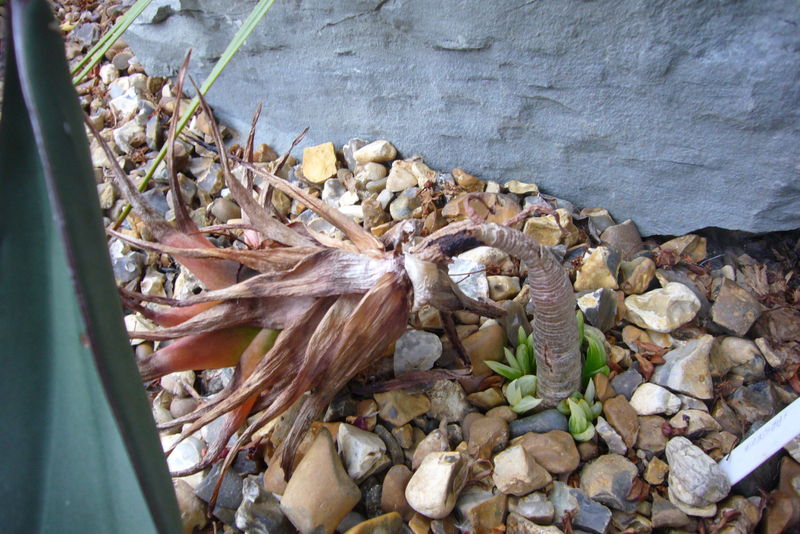 The two aloes that are more commonly found in UK gardens are a. aristata and a. striatula. You would think a hybrid between them would be interesting. I have only ever found one and sadly is doesn't look good. This photo was taken a few years ago, but they haven't changed that much. Maybe if they continue to grow they may do something. You would think with those parents hardiness wouldn't be a problem. 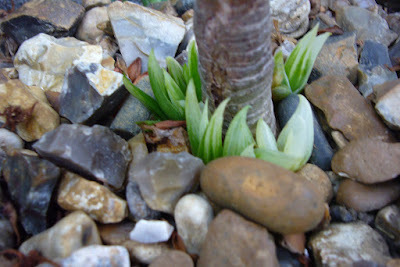 Sadly it's not the case and they have proved not to be hardy even in my London garden. About the only good thing about loosing them over winter is it forces them to offset and you get pups. Not a surprise. Although the top can probably be re-rooted for a change. We only had -3c as the low, so it shows how little it has inherited in hardiness. There are a good number of pups as well. There is change though, take a closer look at the pups. Each is variegated to some degree. Normally I would put this down to lack of light, but that can't be the case here. 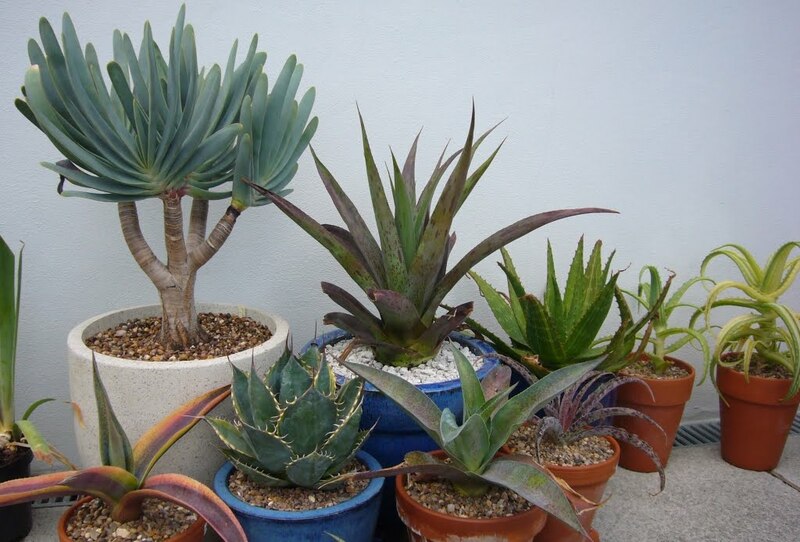 It is not unheard of with succulents, they can often start off variegated just to build your hopes, then switch back to fully green. So what are the chances even one of these will stay variegated. The normal form may not be very interesting, a variegated one may just make up for that and warrant protecting over winter. I had to google this.. I didn't recognize the one in your photo... I have a few tho.. How did u train it into tree form? 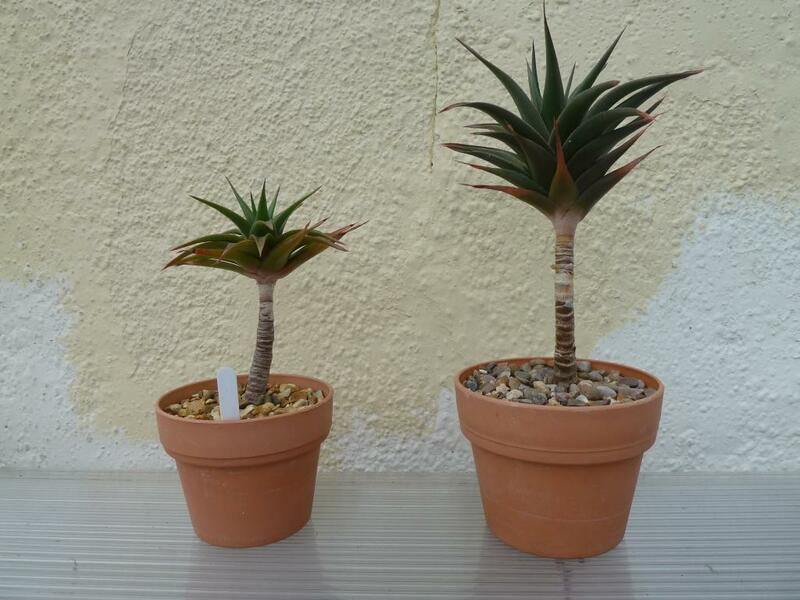 This is just the way it grows, it has taken the stem from a. striatula and the leaf shape for a. aristata. It is almost colourful in the succulent rockery.